Anni Albers was an expert, Bauhaus-educated weaver who established the weaving workshop at Black Mountain College, in North Carolina. 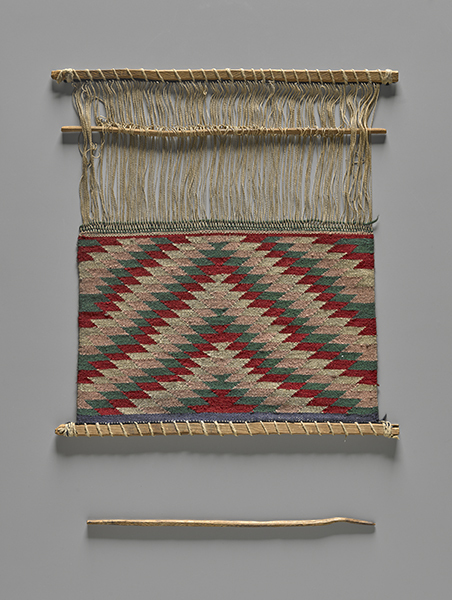 Though she was formally trained, she was initially exposed to the traditional practice of weaving with a back-strap loom during her travels in Mexico. In this hands-on workshop—led by Addison Walz, an artist and weaver based in Brooklyn; Fritz Horstman, Artist Residency and Education Coordinator, the Josef and Anni Albers Foundation, in Bethany, Connecticut; Caroline Kanner, JE ’18; and Zoe Dobuler, TC ’17—participants explore basic patterns and concepts of weaving, and are also given the opportunity to experiment with a back-strap loom. Presented in conjunction with the special exhibition Small-Great Objects: Anni and Josef Albers in the Americas. Registration is required and space is limited; to register, please call 203.432.9525 and leave your name and contact information.